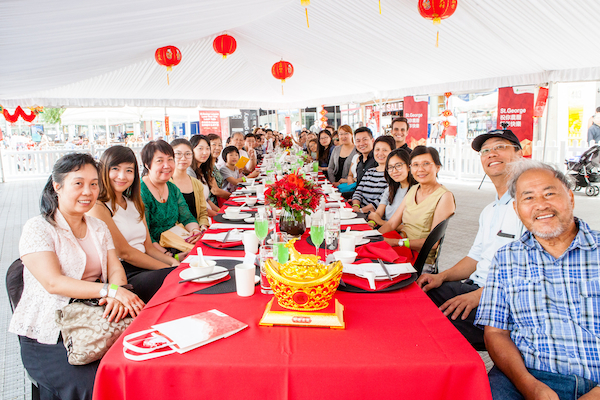 Today marks Lunar New Year, celebrated in Australia by 1.1 million people of Asian descent, including 800,000 Chinese. While every year more brands are involving themselves in the celebrations, Thang Ngo, general manager of multicultural marketing agency Etcom, thinks this is still a major untapped market. Here he discusses the traditions, how they present opportunities for brands and details some of the best examples. Marketing: I’m sure most people are aware of Chinese New Year but they might not know a lot about it. Could you start by giving us a brief overview? Thang Ngo: What’s interesting is you will see that change – at the moment everyone’s calling it Chinese New Year, but its starting to tip over to Lunar New Year. The reason for that is the calendar’s based around the moon cycle, and that’s why the new year is on a different day to us [in Australia]; we’re on the gregorian calendar. So typically the new year falls from anywhere from the end of January through to mid-February, it’s never a static day. The reason it’s going to change [names] is it’s not just the Chinese community who celebrate it, although that’s by far the largest community, but it’s celebrated by Vietnamese, Koreans… and people in Singapore and Malaysia celebrate it. It’s the biggest festival on the calendar for those communities. In China, for example, it’s marked by a three-day public holiday, and it actually is quite similar to Christmas and New Year rolled into one – it’s a time where you think about your family and the year ahead. In China, the world’s largest annual migration happens every Lunar New Year because you go back to your family. It’s something like 200 million people who travel during that period. M: So are a lot of Australians with family in China going back at that time? TN: Absolutely. Well it’s interesting you say that – that definitely has been the trend, but now these days because there’s quite a lot of Chinese in Australia, some of the trend has been for them to come and visit here. But it’s still the same about family reunions. And the other thing, just to demonstrate how important it is, is technically everyone turns a year older on the first day of Lunar New Year. So it marks the ticking of a new year for everyone. These days people do celebrate birthdays, but still on the first day of the new year they will start saying they turn a year older. So that shows how important it is, and why people find it so important to start the year off in the right way, because you wipe the slate clean and you start the new year afresh. M: And the celebration goes for more than one day doesn’t it? It goes for a week or so? TN: Actually it goes for 15 days which is one cycle of the moon. There are so many superstitions around it, especially with a community like the Chinese who are so entrepreneurial; they want to make sure all their luck is lined up for the new year, especially since a lot of Chinese people are very strong business people. Are all these traditions still quite prominent among Chinese in Australia? TN: It’s a really interesting question. I don’t know why no one’s asked that before but it is very different. They follow the same rituals and beliefs, but just imagine if you celebrate Christmas here and then you go to live in China, and its not celebrated over there at all. M: Yes, it would be completely different. TN: You would have to tone it down obviously because it’s not the mainstream. So you’re keeping to a very close-knit group. And there’s no public holiday. So this year, new year is on Thursday the 19th of February. Usually you can plan family gatherings because you know you’re going to have three days off. [in Australia] It’s also a little bit harder to take time off to go overseas because everyone’s just taken time off for Christmas and New Year here. But that’s where I think the opportunity comes for marketers in particular – to recognise that the want is there, but there are not many opportunities to celebrate it. For example, and quite a few of the banks do this now, they give out free branded red packets. It’s a little envelope that you give money in to your children. Their audience is wanting an opportunity to keep the tradition and the customs going, and by having that envelope, its actually enabling them to explain that and past that tradition onto their children. One of the things we find, especially with migrants, is they’re really keen for their children to of course embrace Australia, but to also understand their first culture and traditions. So anything we can do to help people celebrate that and share it with their children has actually more significance than you would think. M: So you mentioned banks in general but what are some other brands that have been doing interesting things around multicultural marketing? TN: Just going back to the banks, they have a bit of an unfair advantage, when a new migrant comes, everyone needs a bank account, and it’s an ongoing relationship that will go on for a long, long time. So not surprisingly, banks have been at the forefront of multicultural marketing. I think actually the banks have done some of the best work in this space. Westpac, for example, is probably the longest advertiser in terms of banks; they’ve been doing formal advertising for over a decade, and they’ve learned quite a bit along the way. 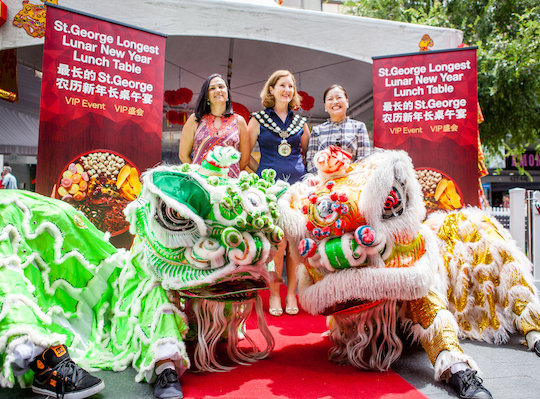 St George put on Australia’s Longest Lunar New Year table, trying to break a record, in Chatswood. It was a social media competition run on chinese social media Webo and WeChat. People enter the competition to win a place at this 20 metre long table and they have the opportunity to bring a friend with them. So the progression has been from traditional Chinese press to radio to digital and social media – marketers are getting smarter. It’s going beyond traditional advertising, it’s about celebrating the culture and getting people together. [the lunch] is in the mall, so it’s public. It’s a way for people to share their Asian culture with other people passing by. That’s the sort of thing that’s being done in mainstream all the time – it’s called activation – but in multicultural circles, brands haven’t in the past seen the value in it. But they are starting to see it now. For Lunar New Year last year, St George engaged artists of Asian background to draw a huge mural on the side of the Chinatown branch. Again, its a public acknowledgement of the culture and it stays there for the entire 12 months on an entire wall of the bank. During the last Moon Festival, which is another major festival in September last year, they rebranded their ATM to be Moon Festival themed. Customers really like the fact that the brands are promoting their culture wider than just their community. Then even though the mainstream is not necessarily the target audience, it actually adds colour and vibrancy to the brand as well. M: What are some examples of brands in other categories that have been engaging in multicultural marketing? TN: I still think it’s quite a major untapped market. Very obvious things like banks, telcos, airlines and auto brands are the main categories, but they’re the main large categories in advertising generally anyway. I think there’s still potential for other brands to get involved. But in terms of telcos, Vodafone is a great example. It’s one of the newer brands have has come on board in the multicultural space about 12 months ago. They started for Lunar New Year last year, and the reason they’ve done it is quite clever: they’re not the largest telco brand in Australia, but their proposition is based around value. When you move to a new country, you have to spend so much money setting yourself up: rent, bond, buying furniture… so if you can save a little here and there, of course you’re going to take advantage. 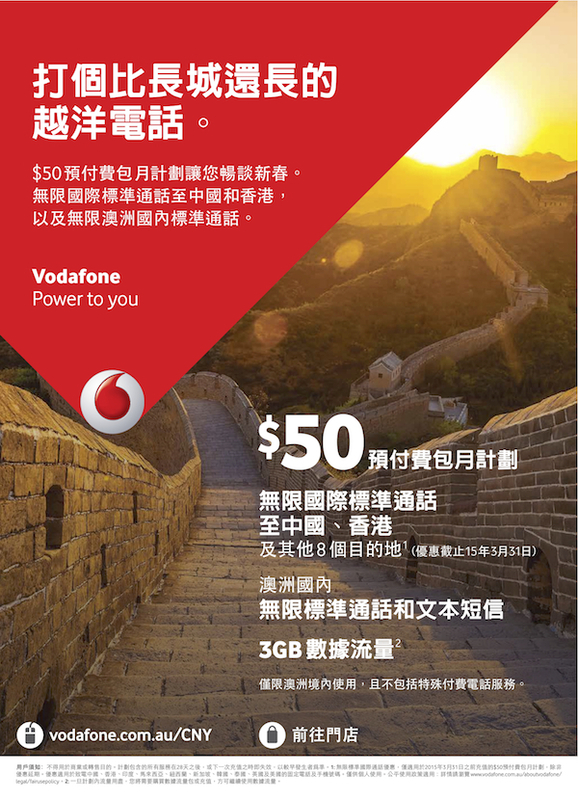 The other thing is that Vodafone’s an international brand, so actually for a new migrant, certainly from Hong Kong where Vodafone is an established brand, they probably have higher brand recall than Telstra. That’s [Vodafone’s] competitive advantage. They test and measure responses to a campaign to see whether multicultural markets are working for them, and it has, so they’re continuing and increasing their spend. This year, they’ve actually gone to commission creative from scratch, from a multicultural agency (that’s us, by the way). Usually, even though it’s about Lunar New Year, you get the mainstream agency to do the work, then you get the multicultural agency to translate and put the headline and the copy into Chinese. This year the offer is unlimited calls to China during this period. So the headline we came up with was around the Great Wall of China – in Chinese it’s name is actually ‘the long wall’, so the copy, written bespoke in Chinese, is, ‘Now you can talk for longer than the Long Wall of China’. M: So around Lunar New Year, what are some of the untapped opportunities that you see for brands? TN: There aren’t a lot of clothing brands that are in the market, but new year is a time when you buy yourself and your loved ones new clothes. You want them to be beautiful because you want to start off on the right footing. People will pay more for quality at this time because they want the year to go well. And auto – it is also a time for people to think about a big investment. Auto brands are generally in the space at the moment, but I think where they can improve is to have more dealers who speak the language. Buying a car isn’t necessarily as easy as buying a mobile phone – people need to get a bit more detail, so that’s where having dealers would really be helpful. The other think at the heart of it is we have the data, so we actually know where these communities live. For example in Fairfield, New South Wales, seven out of 10 people speak a language other than English at home. So you can make sure you have people on the ground who speak the language. A lot of the time marketers think it’s too difficult to get their backend sorted, but I’d say come to it with an open mind, and if you think there is potential, there are strategic ways to tap into that market. M: So what are some other points of advice to marketers thinking about getting into multicultural marketing? TN: So it’s good to look at whether your target audience is English proficient or not and that determines how much of the backend you need to provide. If you look at Westpac, their ATMs are in multiple languages. They’ve got 2500 Mandarin or Cantonese speaking bankers in their network and 110 dedicated Chinese branches. So whenever they have a promotion, they promote these branches. I think it goes into the next phase where people are looking past just advertising, they’re looking at the best way to complete that customer journey. The other thing is if you look at the diversity of your staff, you might have the skillsets in your team already. It’s about keeping an open mind and looking for the opportunities rather than finding a reason to say no. In multicultural marketing, you don’t necessarily get to the stage where people are so vibrantly opposed that they’re banning your product, so its not as risky as you might think. M: Great. Thanks, that’s a lot of really interesting information. TN: Thank you so much for all your time.